A lot of people ask Dr. Gordon McMorland “Why Chiropractic”? He wondered that same question himself until he had a serious injury that threatened to take away his gymnastics career in university. He skeptically went to see a chiropractor for treatment of this injury and the experience was very positive, resulting in rapid pain relief and being able to resume his gymnastic activities. He realized that chiropractors had a lot to offer. He has never lost that passion to help others who are experiencing pain and injury, regain their health from chiropractic care. Dr. Gordon McMorland changed his undergraduate studies to gain the prerequisites to apply for chiropractic school. He graduated from the Canadian Memorial Chiropractic College in Toronto with honors in 1990 and moved back to Calgary with his wife to hang up their shingle. Initially, they began as a small office, but that would soon change as the awareness and need for chiropractic options increased. Through a research initiative, in a project comparing back surgery to chiropractic treatment for sciatica, Dr. McMorland met Dr.’s Hurlbert and du Plessis (spinal neurosurgeons). This relationship evolved to allow for the creation of National Spine . He is currently the principle chiropractor and owner/director at National Spine Care & Sports Medicine. In addition to private practice he is also actively involved in National Amateur Sport, currently contracted to Gymnastics Canada as Medical lead for the National Men’s Gymnastics Team. He is also is the team chiropractor for the University of Calgary gymnastics program. He also acted as the medical director for the 2011 and 2012 national track and field championships. 2013 saw Dr. McMorland completing his post-doctoral training and gaining his Board Certification with the American Board of Rehabilitation Specialists. Complementing his private practice, Dr. Gordon McMorland has an active interest in clinical research and has been published in peer-reviewed scientific journals several times. Research includes collaborative efforts with the University of Calgary, Faculty of Kinesiology (Human Performance Laboratory) and Faculty of Medicine, Division of Neurosurgery (University of Calgary Spine Program). The focus of his research interests includes clinical patient trials as well as basic science initiatives including objective analysis and quantification of neuromuscular dysfunction in the diagnosis and rehabilitation of patients with neck and lower back injuries. In 2016, Dr. McMorland is pleased to have expanded National Spine Care and Sports Medicine into a fantastic new state-of-the-art facility in partnership with TCR Sports Labs at 1815 10th Avenue SW in Downtown Calgary. Outside of private practice, Dr. McMorland served as a member of the board of governors for the Canadian Memorial Chiropractic College in Toronto, Ontario, Canada. 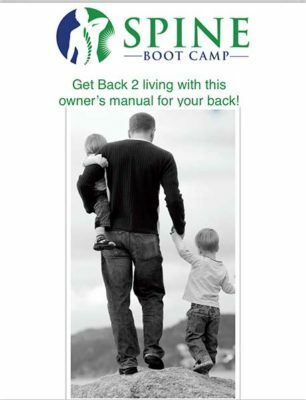 book your consultation appointment with Calgary Chiropractor Dr. Gordon McMorland today!